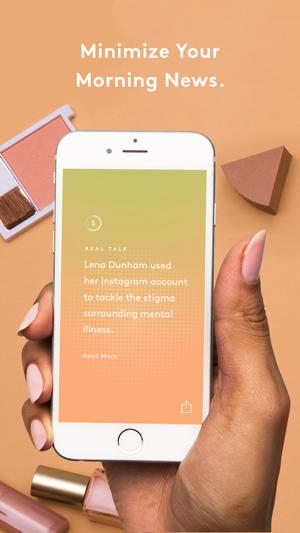 Start your morning by being up to date on all the latest news, top stories, trends and pop-culture moments with the beautifully designed Refinery 29's This AM news app. Staying smart and in the know takes just 8 short, fun-to-read cards a day. Using this hot news app featured in TechCrunch, you'll always know what to talk about. Flip through a well-rounded, daily run down of the morning news, including: Politics, celebrity, fashion trends, pop culture moments and more. Keep up with the top news items and pop culture stories in just a few minutes a day, from the comfort of your bed, your couch, or while on your morning commute. This AM makes sure you know what's going on in the news and keep you updated on the latest trends. Based on Refinery 29’s renowned franchise “8 Things to Know This Morning”, this hot app summarizes the world’s top stories. Whether you have 5 minutes or 40, This AM keeps you fully updated and ready to face the world. • Curate - Each morning, This AM delivers the morning news in 8 cards, each with fresh news topics and trends. Every card you skim through contains a headline and summary of a top story. 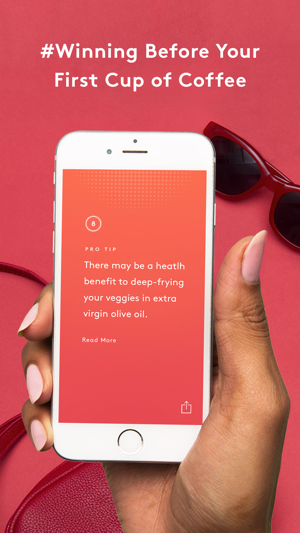 • Swipe - Swipe through the cards sequentially and skim through the contents of each fresh news item. • Select - Each card covers a different news topic. Whatever topic your friends, boss, or coworkers want to talk about today, you’ll be up to date and in the know! • Deep dive - If you find one of the current news updates interesting and want to read more on the topic, click on the headline link and head straight to the complete article for more details. Start your day by skimming through the top news headlines. Stay updated on a wide variety of news topics to talk about with your friends, lunch date, clients, coworkers, and others. 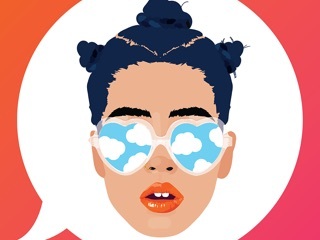 Refinery29 is the world’s #1 media company for millennial women and the fastest growing independent fashion and style website in America. 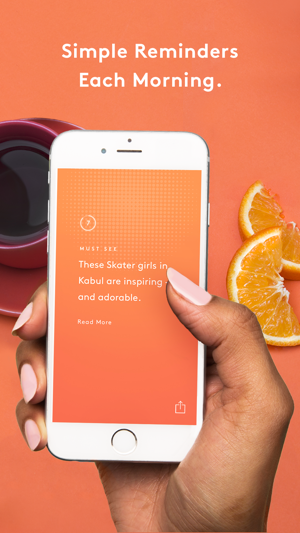 Its new app, This AM, was developed for smart, savvy, and minimalist women, such as yourself. It keeps up with your busy on-the-go lifestyle, by keeping you well informed of the top news items and stories. I loved this app from the first day I installed it. I would check it each day and I felt as if I was finally in the loop. Then Trump took over the feeds. You get 8 articles and 6 would be about Mr Dumps. I stopped checking daily. Today I was deleting apps, periodic cleaning. I saw This Am and I said to myself “if there is even one article about Dumps I’m deleting this app for good” and low and behold nothing about him!! Yes there are typos and some of the clicking functions don’t work. I hate how the toggling works. If I click on something in an article there is no back button, so you have to return to main page. Very annoying. Also in the beginning I’d go to see the updated articles but old news would still be up. That seemed to becoming rare and as I mentioned before I had abandoned this app for a while. Just please limit the amount of Dumps. No one wants to be dumped on and certainly not multiple times. I love seeing the different article from political news to just plain silly news. Just look out for typos, I stumble upon them quite often. I enjoy the articles because most are unbiased. Edit: the app isn't consistent with updating its information even in the "AM", for example it's already 4pm for me on Thursday. And I'm still getting Wednesdays news from the app. I would love to be able to just wake up and check this app first thing in the morning. And it shouldn't be that hard update your information considering some of the news isn't even from that morning but days ago. I stopped reading the news because I would go down news rabbit holes and get depressed or feel angry and it would legit ruin my day. This app has totally changed that by giving me the important stuff in a nutshell. Bonus is if you tap a story, you get the entire article. I will use this feature sparingly but it is handy for when I need more info. Conclusion: I love this app because I can stay informed without turning into a ball of stress. Not to mention the design is really pretty too!